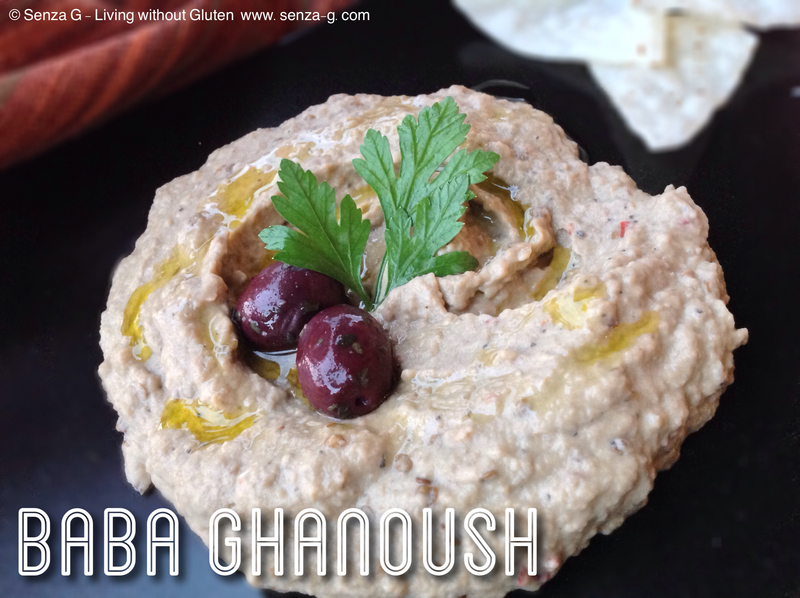 Another tasty and healthy Lebanese Dip for you to try. Great as a snack with vegetable sticks or crackers. Preheat oven to 150C. Prick the sliced aubergines with a fork in several places. Brush some oil on the sliced top and put on a baking sheet. Brush the garlic cloves with oil as well, leaving them unpeeled and place on same baking sheet with the aubergines. Roasted garlic will give a more subtle taste. *If you like a strong garlic taste, skip this step and just mince 2 raw garlic cloves when preparing the dip. Leave the aubergines to roast until the flesh starts to feel very soft. When done, remove from the oven and leave to cool. Remove the skin off the garlic cloves. The cloves will be very soft. Peel off the skin of the aubergine and put the flesh in a food processor, together with the garlic. Add the tahini paste, the lemon juice, olive oil, chilli if using and cumin and process until all is combined. If necessary add more lemon juice. Taste and season with salt & pepper. Transfer into a bowl and chill for 2 hours. Take out half an hour before serving. Transfer the Baba Ghanoush to a serving dish, drizzle with olive oil and garnish with black olives and a sprig of parsley.